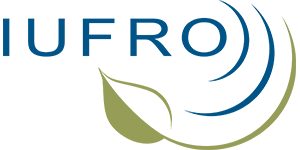 IUFRO Division 5 (Wood Products) includes research on the varied factors affecting the way forest plants grow and produce woody biomass and other products and the various ways the materials are used by industries and communities. Specific topics include: the microscopic and macroscopic structure of wood and its utilization; engineering properties; protection in storage and use; wood physics; drying, conversion, and performance of solid wood and wood composites in use; production of energy and chemicals from trees. It also includes research on the production, characteristics, and use of non-wood forest products, such as medicinal and edible components of forest crops. A very strong theme is the efficient and sustainable use of forests for the good of mankind. The University of British Columbia (UBC), established in 1908, is one of Canada’s leading research universities and is consistently ranked among the top 40 in the world. The university attracts nearly 60,000 students from across Canada and 140 countries around the world. Hundreds of academic programs are offered through 12 Faculties and 14 Schools. Learn more about UBC. 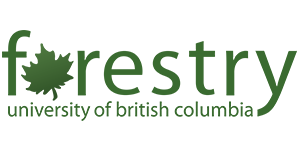 The Faculty of Forestry at the University of British Columbia is one of the largest and most recognized schools of forestry and associated studies in the world, offering a range of programs related to the science, art and practice of managing diverse ecosystems and landscapes, and the products and services that they generate. The Faculty’s programs are intended to meet the growing demand for experts in conservation, forest sciences, forest management and wood science. Learn more on the Faculty of Forestry’s website. The Centre for Advanced Wood Processing (CAWP) at the Faculty of Forestry is Canada’s national centre of excellence for education and research related to wood products processing and advanced wood products manufacturing. CAWP offers a wide range of training courses, continuing education programs, and industry services. 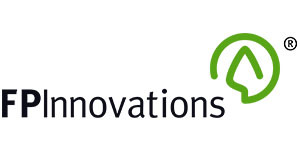 FPInnovations is among the world’s largest private, non-profit research centres working in forest research. 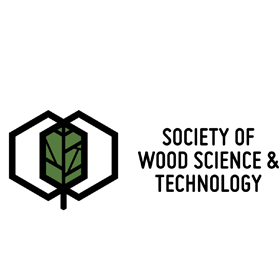 The organization helps the Canadian forest industry to develop path-breaking solutions based on the unique attributes of Canada’s forest resources, favouring a sustainable development approach and taking full advantage of the industry’s considerable scientific, technological and commercial capital. The organization has four flagship programs: Value Chain Optimization, Building and Living Solutions, Next Generation Pulps and Papers and Bioenergy, Chemicals and Advanced Bioproducts. Project areas include: Biorefinery – Towards a new forest bioeconomy; Nanoproducts: nanocrystalline cellulose; Wood products: solutions using wood’s structural performance and environmental sustainability for next generation building; Next generation pulps and papers; Forest operations; and Transportation. Learn more on FPInnovations’ website. The Society of Wood Science & Technology (SWST) is an internationally-recognized professional organization of wood scientists, engineers, marketing specialists and other professionals concerned with wood. SWST is committed to protecting our forests through the development of new ideas, and promoting procedures and policies which assure the wise use of wood and lignocellulosic materials. The organization establishes a forum for the exchange of ideas, the communication of knowledge and the development of high standards, policies, and ethics for wood research and the wood industry. They foster quality educational programs at all levels of the field–undergraduate, graduate and post-graduate through accreditation of wood science and technology programs. In a continuing effort to expand awareness of problems and solutions concerning the overall wood resource use, SWST provides funding to assist qualified people to participate in national and international visits for increased awareness of progress within the wood industry field. Learn more on SWST’s website. The International Academy of Wood Science (IAWS) sponsors the Academy Lecture that will take place on Wednesday June 14th. 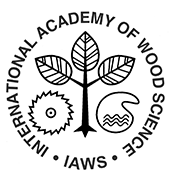 The International Association of Wood Anatomists (IAWA) is collaborating with the Technical Session: Function Variability in Wood and Bark – A Joint IUFRO-IAWA Session under Research Group 5.01. 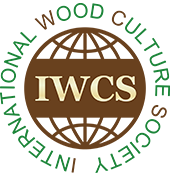 The International Research Group on Wood Protection (IRGWP) is collaborating with the Technical Session: Recent Developments in Wood Protection Research Relevant to Climate Change Mitigation by Conferring Long-term Carbon Storage in Wood – A Joint IUFRO – IRGWP Session under Research Group 5.03.